Question: why is there not a common foreign language concept for the town. 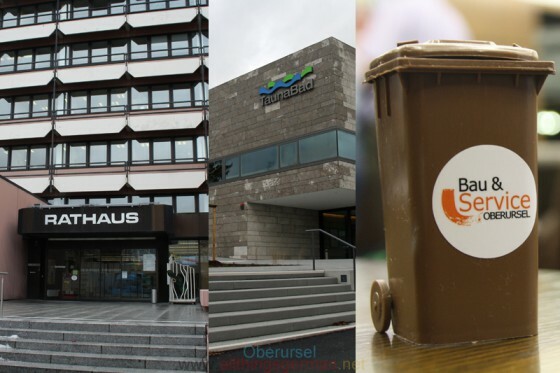 The town hall is set to have signs in English and French, the Taunabad only has signs in English and in the case of the bio-waste rubbish bins the town’s own subsidiary, BSO, issued information leaflets in English, Turkish and Polish. You are absolutely right and that is something that I will standardise. Tappenden: Does that mean that at some point there will be a decision taken that the signs in the town hall will be in the same languages as the signs in the TaunaBad? Schorr: Yes, it would be nice if the town’s own companies and the administration would work in the same way in this case. Which languages we would use other than English and French is something that I would make dependent on the largest numbers of foreign residents. But it is a very good tip. I suspect it has something to do with how many people are affected in the relevant groups. If someone is going through the town hall and needs to know where to find a particular institution, they often only need certain keywords. And I think that is where German and English, maybe French, are more significant. But if it is a case of informing people, such as about the bio-waste rubbish bins and domestic issues, then there must be an exact explanation in multiple languages. And that is where sometimes languages like Turkish and Polish are almost as important as English. Tappenden: But with the information about the swimming times for Ladies Only Swimming, for example, could one have expected the “Stadtwerke” (who run the pool) to issue them in Turkish as well? Brum: Actually yes. You are right there. But we have two different institutions here: the town and the “Stadtwerke”, and that is the difference. We can take this on board and look into how far we can go in making unified rules. But there are topics (such as the “Ladies Only Swimming”) where a certain language is more in demand than others. I think that we need to think it through. But I don’t know if it makes sense to have a set structure, or if it would not be better to orientate it based on the individual situation.